"Maneuvering a normal kite will begin to play a series of important and preparatory exercises for the lesson in water, such as walking in both directions sit and get up using the only force that the kite delivers. At the end of the lesson you will be able to steer the kite with one hand and raise and lower the kite. You’ll have your first approach in the water with the kite and the board, will begin with the body-drag and the recovery of the table and you will learn to relaunch the kite from the water. On the same day will effect your first starts with the board. Dedicated entirely to the departures in the water from the beach. 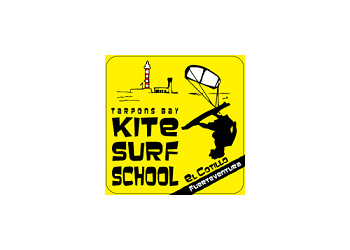 The instructor, being always by your side, will be able to correct your posture trim dispensing tips to improve your technique" content taken from Tarpons Bay kitesurf school official website.